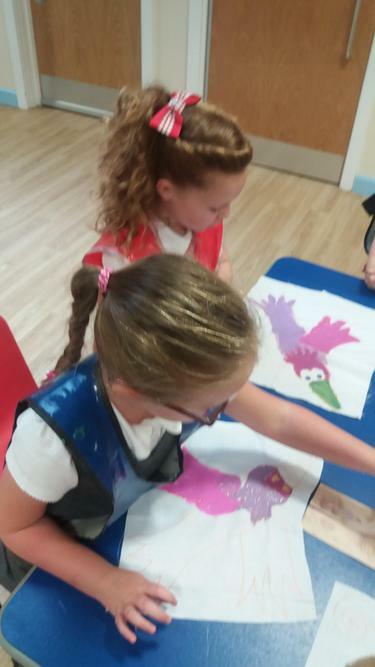 This week our good friend Vicky Hough, a local artist, has been working in school with groups of children in creating three banners for the school hall. The banners will represent the Trinity; God the Father, God the Son and God the Holy Spirit. 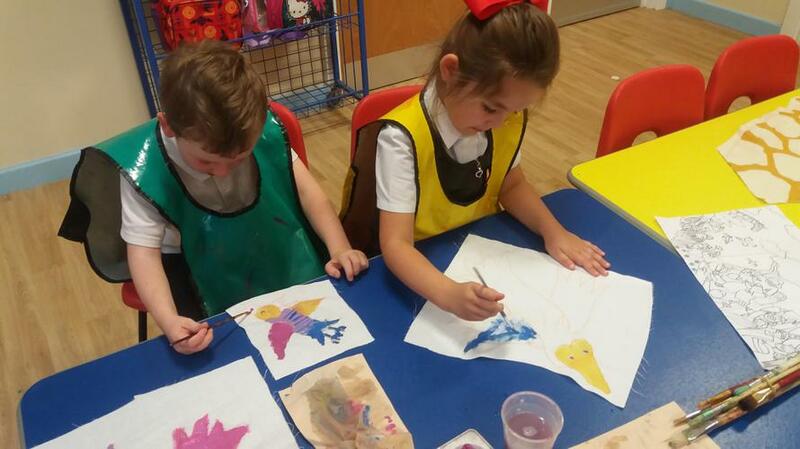 We can't wait for the finished results! 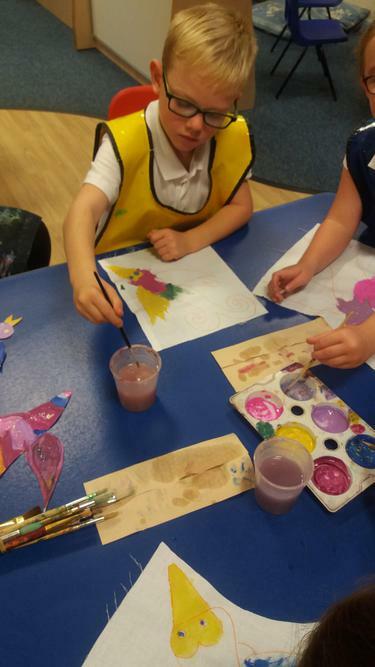 Here are a few photos of the children painting their part of the banners.